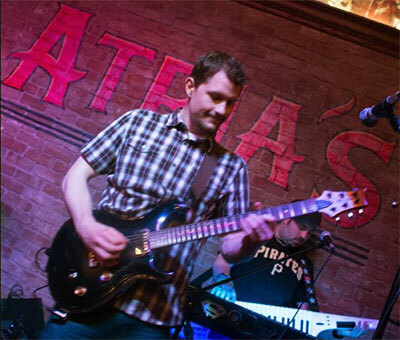 I'm a Guitarist and Musician from the Pittsburgh, Pennsylvania area. I play in bands Crush and Limit Breaker, and I also post fun video game covers on YouTube. When I'm not out being Super Guitarist, I'm either in the office being Clark Kent the web developer or out-and-about skateboarding and training Brazilian Jiu Jitsu. That's the TL;DR version. If you want to know more back-story, have nothing better to do, or are just curious, then keep reading below! On Christmas Day of 2003, I woke up expecting to find a new grind-rail in my living room. I used to skateboard every day, and I dreamt of becoming professional. To my (unpleasant) surprise, my parents gave me a First-Act guitar and amp. "I didn't want this" I said. I had picked up a guitar a few times before just to mess around with it, but I didn't have any desire to own one. It wasn't until a few days later that I tried playing it. A friend had taken some guitar lessons, so he introduced me to guitar tabs, palm-muting, and two songs: "Enter Sandman" and "Sanitarium" by Metallica. I began practicing these songs as well as other songs that I heard from the Tony Hawk's Pro Skater video games. A few weeks later, I began working on the solo to "Sanitarium" and the song "Master of Puppets" (Which I couldn't play up to speed until a few months later). Yeah, the guitar is kind of cool now! In May of 2004, my dad signed me up for weekly guitar lessons at Jim's Guitar Works in Elizabeth, Pennsylvania. 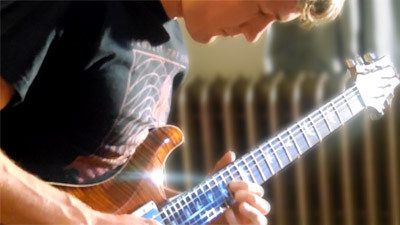 My teacher introduced basics such as alternate picking, playing chords, and scales. Basics aren't the most exciting nor musical things to practice, but my desire to be a good player kept pushing me forward. As I progressed, my teacher and I also practiced improvising solos in specific keys, which helped me learn how to start writing my own songs. 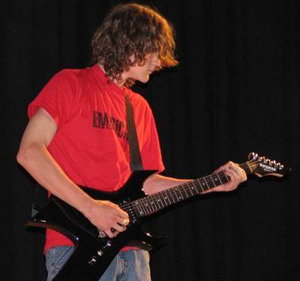 In 2006, I joined my first metal band Fallen Silence. Based in Irwin, PA. 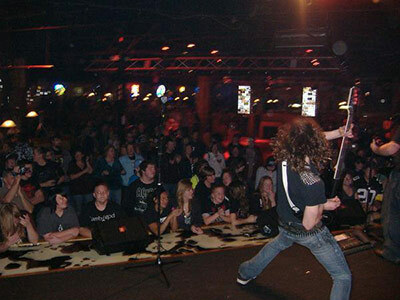 Fallen Silence's original songs followed the styles of Metallica and Trivium. We played and won a battle-of-the-bands at Norwin High School; however, I shortly decided to leave Fallen Silence to join the band Eternity Lost. At the end of 2006, I joined YouTube in order to participate in the Trans-Siberian Orchestra Wizards In Winter contest. For my entry, I did the unthinkable and skateboarded on a mini-ramp while playing "Wizards In Winter". I didn't win the contest, but that didn't matter. They sent an awesome tour jacket that I later had signed by all of the members. Not only did they sign it, but they congratulated me for entering the contest. Their guitarist at the time, Alex Skolnick, even stood up and said "I voted for you!". Talk about an amazing, inspirational, crap-your-pants moment! In the next few years, all of my skills were being put into application. 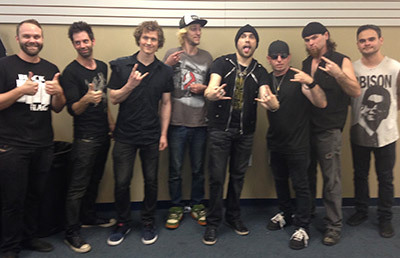 I co-wrote songs with Mike and Sean of Eternity Lost for our "Legacy" album. I also put more effort towards YouTube videos in order to satisfy my growing Internet fan base. 2007-2009 was probably my YouTube "prime" given that Guitar Hero was a huge game, and YouTube was still in its early days (does anybody remember the star-rating system?). Additionally, I was gigging at least once a month with my cover band Yinz Guys. By 2009, I was contemplating whether to make music a full-time career goal. That summer, I attended a guitar workshop at Duquesne University where I had the opportunity to jam with amazing guitarists such as Tony Janflone Jr. and Gary Hoey. In the hopes of transferring to the music program at Duquesne, I began taking jazz lessons from my friend Chris who graduated from that program. Due to the monetary and career-wise risks involved with the music business, I ended up staying with my current computer science / digital media major, but continued to take lessons to further my skills. During the same year, I joined Circle7, an alternative-rock group based in Uniontown, PA. By that time, both Yinz Guys and Eternity Lost had basically disintegrated. Circle7 started off slow, but after some refining and member changes, the band tried chasing bigger dreams. For one, I mixed and mastered our "Road to Dysfunction" album. Additionally, Circle7 opened for Eve6 in Fairmont, WV as well as Trapt at our very own "Dysfunction Fest" concert in Uniontown. Ultimately, the band drifted and broke up due to creative differences. 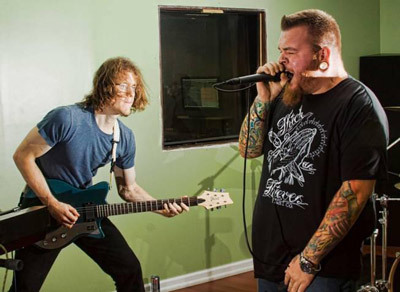 In 2011, I re-united with my former Yinz Guyz drummer Gregg Livengood in a new rap-rock band Bare Minimum. Before I joined, Bare Minimum was three guys that had been together for three weeks and had already won a preliminary battle-of-the-bands event. Once I stepped in, Bare minimum was comprised of a rapper, keyboard player, drummer with a 2-piece kit, and guitarist with a Crate 2x12 amp. And, we crushed the battle-of-the-bands finals! We won $2,000 by literally using the "bare minimum". By 2013, Gregg, my former Yinz Guyz bassist Rob Nichols, and my Bare Minimum keyboardist Steve Molans formed the cover band Crush. We recruited lead singer Rachel Menhorn through auditions and have not had a lineup change since the time of this writing (Dec 2015). Crush has been doing gigs on average once-a-month, which has given me immense gigging experience. Additionally, having a female singer has expanded my musical horizons quite a bit. I'm used to playing all sorts of rock, but this band dipped into other genres such as pop, blues, and even country. On the side, I took some other once-in-a-lifetime opportunities. For one, I attended a company picnic at Consol Energy Park in Washington, PA for a semi-professional baseball game. My general manager at-the-time talked to them and arranged for me to play the National Anthem, Jimi Hendrix-style. Additionally, I've had the wonderful privilege of appearing on Pittsburgh's Cornerstone Television a few times with my friend and fellow-rocker Scott Schmitt. Crush playing at Atria's Restaurant near PNC Park, Pittsburgh, Pennsylvania. Me and keyboard/keytar player Steve Molans. May 2015. In Fall 2014, after I paid off massive amounts of school loan debt, my parents encouraged me to purchase my dream guitar--a Paul Reed Smith Custom 24. I first played a PRS guitar in 2007 and had since been jokingly asking for a PRS for Christmas, so this was a big deal for me. 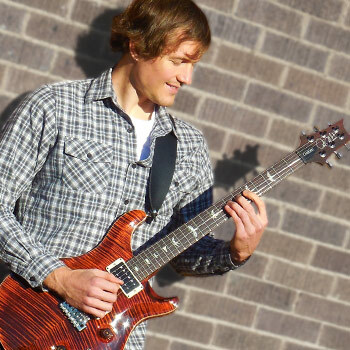 I went from playing a 300-dollar Ibanez Jetking to a 3000-dollar made-in-the-USA custom guitar. The Jetking had been my sidekick throughout all of these years, but I felt it was time to upgrade. In 2015 I further completed my recording arsenal by purchasing Kontakt Komplete 10 Ultimate as well as a Canon t5i camera. So, what's next? Follow me on YouTube, Facebook, and Instagram, and let's find out together!